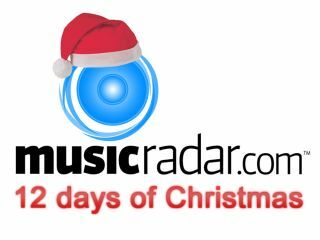 As you've probably noticed by now, Christmas is coming - and to celebrate, we're presenting MusicRadar's 12 days of Christmas. Every day running up to Christmas Eve, MusicRadar will have some special festive content, including a YouTube-busting rundown of the best and worst Christmas songs ever, cool stocking filler ideas for musicians and our Christmas gifts for the stars (with an extra-special treat for a Ringo Starr). The holiday line-up doesn't stop on Christmas Day either - keep MusicRadar bookmarked for our massive 2008 Review, our gear of the year, and then our brain-mulching 101 facts you never knew about music. It will make you look super-smart as we all head to 2009.